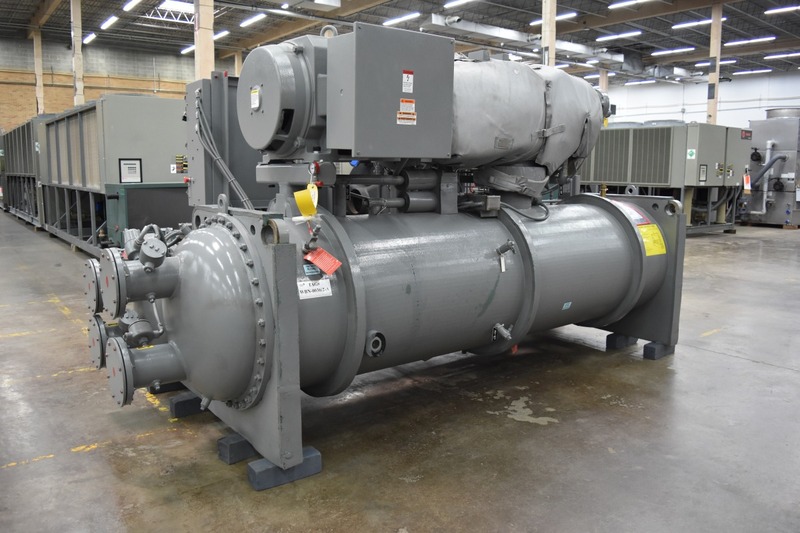 This New Surplus, York 245 Ton Water-Cooled Chiller became available due to a cancelled Nuclear Facility. Never installed, the chiller was designed with CuNi condenser tubes, stainless control tubing, Hazardous Atmosphere Controls and the list goes on. It is located in our facility in Dallas, Texas and is ready to ship to your location. Be one of the first to have a “BRAND NEW” nuclear Grade chiller from Surplus Group. SKU:2394. Category: Water-Cooled Chillers for Sale. Tags: chiller, new surplus, water-cooled, York.